It’s that time of year again. When you get on the bus in the morning, there is bound to be at least three people with red noses and puffy eyes. If you haven’t had it already, you are next in line. Cold season is horrible for everyone. When you have a cold or a form of flu, you can start to feel awful. People don’t realize it, but the common cold can impact your brain and confuse you. 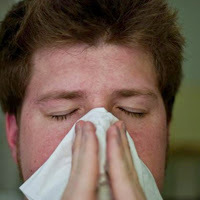 Often, when people have colds, they struggle with simple tasks because their brain is failing to function. What you need is some rest. If you are not a huge fan of medicine and harsh chemicals, try the following home remedies. The last thing you want to do right now is get into the shower. That is fair enough. Having a hot shower could truly help to relieve your irritation, though, and so it might be worth a try. When you have a hot shower, there is loads of steam in your bathroom. That steam helps to loosen any mucus on your chest and makes it easier for you to breathe. If you don’t fancy having a shower, you can steam your head instead. Get a bowl full of boiling water and put your head over it. Put a towel over your head so that you breathe in the steam. If your throat hurts a lot, you should try to clean it. The easiest way to clean your throat is to gargle with something. You can use mouthwash if you want, but salt water is likely to be more effective, no matter how bad it tastes. Make a salt water solution and have a quick gargle with it. Be careful not to swallow the water, or it could make things worse. Honey is a miracle food. The health benefits of honey are great, and so you should always make sure that you have a jar in your house. After you have cleaned your throat, you need to soothe the area. A spoonful of honey will make all the difference. The texture of honey helps to soothe harsh, scratchy throats so that you feel better straight away. Plus, you have the bonus that the honey tastes yummy. As you probably know, the best thing to drink when you have a cold is honey and lemon. If you have some fresh lemons in your home, you can make a delicious honey and lemon drink to soothe your throat and help you recover. Failing that, you should try drinking herbal tea. What is important, when you have a cold, is that you drink something hot. Keeping yourself hydrated will help you to recover, whilst the heat will help relieve your symptoms. It might be tempting to have a hot cup of coffee when you are ill. Try to avoid doing so. Coffee makes you dehydrated, and so you will end up feeling worse than you do now. The most important thing to do when you have a cold is sleep. Your body is trying to fight off the virus, and so you need loads of rest. Many people find it hard to relax. They want to keep doing things, even though they are not well. You need to have a day or two off work to recover. When you are ill, it is best not to go into your office. Cold’s spread through the air and you could infect everybody else at your workplace.